Hidden Valley Camping Area was looking for a long-term partnership - one that they could trust should any problems arise, changes to browsers are made, or they simply have questions that needed answering. So, when they were ready to put a fresh face to their website, they knew that they could count on us to enhance their digital presence in the long haul, not just for a temporary project. 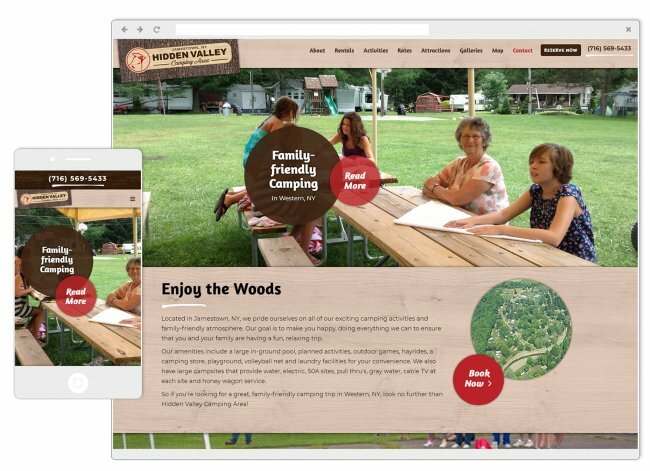 Before we took the reigns on Hidden Valley Camping Area's website, all of the existing content and information provided was not organized in the most effective way possible. So, we helped Hidden Valley determine where their strongest points of interest were so we could identify what would make the most sense when organizing their content into the main navigation menu. 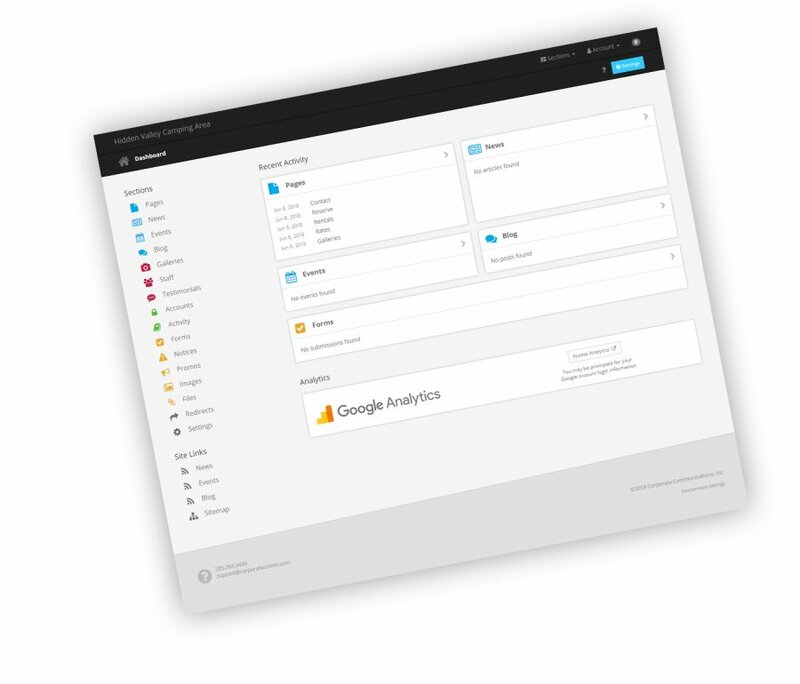 We organized all content into eight main navigation tabs so that their target audience would have a much clearer idea and straighter shot at finding the information they were searching for. To make all web content easy to edit, update and add/or delete, we built the new Hidden Valley site under a custom Content Management System (CMS). Now, regular updates, changes or additions can easily be managed through the CMS by all web administrators in all areas of the new website. We truly believe that every campground is unique and Hidden Valley is no exception. That's why we wanted to design the website with extreme flexibility in mind so that they would feel comfortable making changes as necessary, and so that we could continue to help address their specific needs without any constraints or roadblocks. 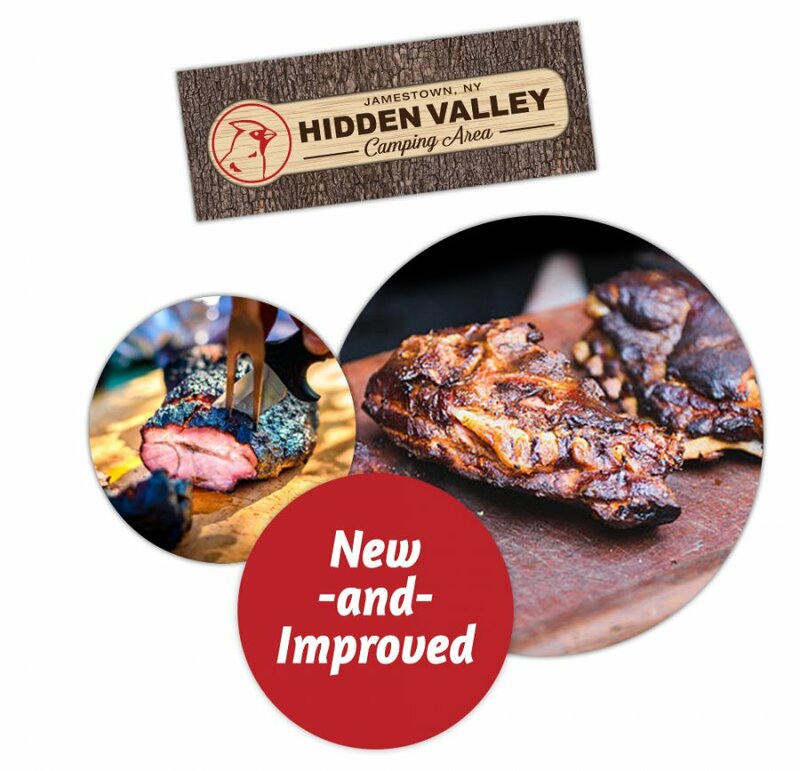 Though Hidden Valley Camping Area already had a well-established logo and brand identity, their website was out-of-date and in need of a facelift. 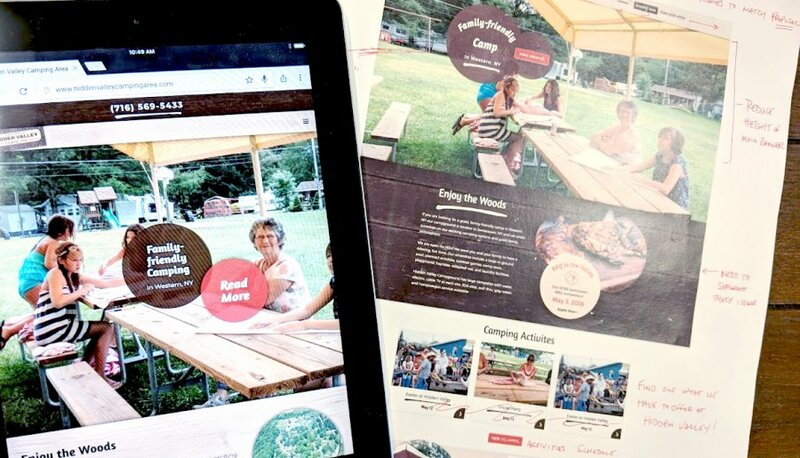 We helped turn their outdated website into an engaging place for campers to easily navigate, find information, make reservations and stay-up-to-date on all events. We knew that it was important to Hidden Valley to stay true to their original color palette, logo design and overall identity, so we managed to modernize and enhance their website, all while maintaining the overall look and feel from their original site. Now, the new website is just as recognizable as the well-established brand that campers knew it as, but with a sleeker look and functionality.